You will often hear claims such as “natural gas heating is more efficient than heating oil” or “there is a lot more natural gas available than heating oil, so oil will always be more expensive”. There are a lot of false legends out there, and we want our customers to have a balanced perspective on their heating and hot water choices, so let’s review some facts about heating oil. Heating oil is plentiful — Domestic US production of oil continues to rise, and with additional choices such as biofuels there is an ongoing supply of heating oil stocks. On the other hand, natural gas has no substitute such as biofuel, and our domestic supply will slowly reduce to where the US will become dependent on imported gas. Our expectation is that natural gas prices will slowly rise as this occurs. Heating oil is not more expensive than natural gas — Statistics show that over the last 22 years, heating oil supplies were less expensive over most of the country. People were also convinced to convert their heating oil system over to gas, and thus incurred costs of several thousand dollars for a conversion that probably didn’t save them any money over time. 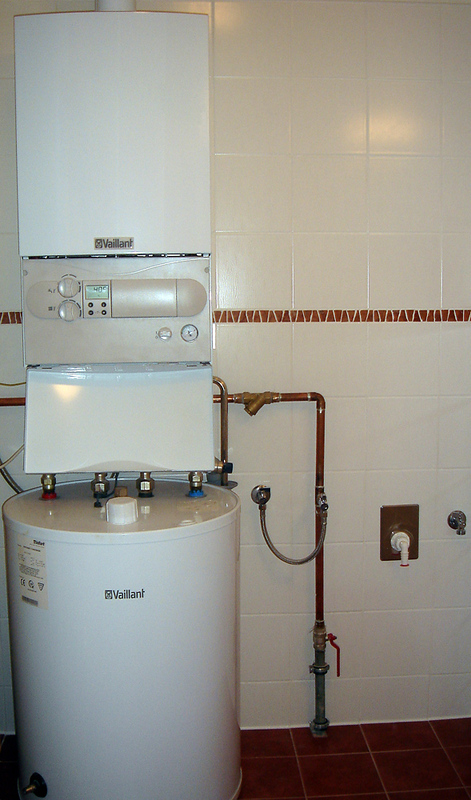 Heating oil systems are clean — Properly maintained heating oil systems are very clean and efficient. Newer heating oil technologies re-burn exhaust gases to extract additional efficiency from every gallon of oil. Heating oil systems are now 85 to 95 percent efficient and compete very well with natural gas. Heating oils contain lower sulfur emissions than previously, reducing pollution further. Improvements in heating oil technology have reduced home fuel use by a third over the last two decades. Now is the perfect time to install a high-efficiency heating oil system. Heating oil is safe — The flash point of heating oil is 140ºF, and a match dropped into a puddle of oil will not ignite. It requires the fuel oil to be vaporized then ignited with an electric arc inside the heating burner for it to burn. Natural gas, on the other hand, is quite flammable and in some concentrations can be explosive, such as a leak inside your basement or furnace room. A leak of heating oil will make a visible puddle that you can clean up, where a natural gas leak is invisible and requires a special odorant for you to even detect it. Heating oil systems have a very long life and provide dependable heat — A property maintained heating oil system can last up to 30 years. Natural gas systems can have a shorter life expectancy, often because they are ignored by the consumer who thinks they are “maintenance free”. In addition, your oil tank provides a supply of oil independent from any pipeline or distribution system, where natural gas must be supplied to your home by a distribution pipeline. Any damage or disruption to that pipeline can remove your heating source, whereas the heating oil supply will continue to function. Heating oil systems are quick to respond to heat or hot water needs — In fact, heating oil can respond to a need for heat or hot water much faster than natural gas, or electric in the case of a hot water heater. Statistics show that oil-fired hot water systems respond twice as fast as natural gas, and up to five times faster than electric. You have many more supply and service options with heating oil — You can buy heating oil from whomever you choose based on price, supply options such as automatic filling, and other options. Natural gas must be connected to a single utility supplier, and you are therefore subject to their terms and pricing without having other options available to you. You control your oil inventory in your own tank and therefore can choose who you do business with and how your oil is delivered. You have a lot more options with heating oil. Along with all the advantages of heating oil we have discussed above, Parkside Oil and Boiler has a wide range of payment and financing options to help you manage your heating oil costs, repair existing equipment, and replace your heating system with a high-efficiency heating oil system. If you have any questions about our heating oil supply options, please call us at (631) 928-4645. We look forward to hearing from you and assisting you with any heating oil questions or even Miller Place Air Conditioning Services.